The 2017-18 Miami Trace gymnastics team recently held an end-of-season awards banquet and presentation at the high school. (front, l-r); Gracie Greene, Devan Thomas, Debbie Abare, Lizzy Valentine, (Greeneview); (back, l-r); head coach Susan Holloway, Grace Rolfe, Abby Arledge, Maddie Southward, Tori Waits and assistant coach Chasity Thomas. 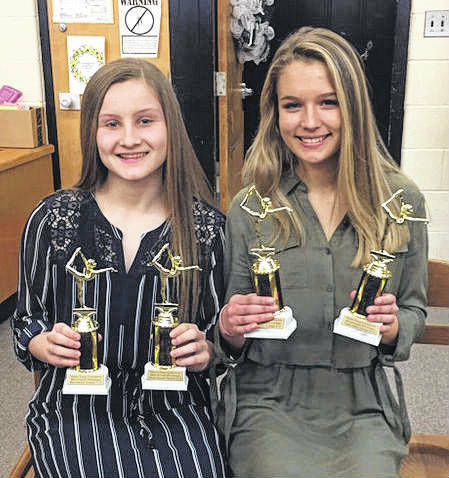 BEST PERCENTAGES — Devan Thomas (left), had the best percentage overall on uneven bars and balance beam and Abby Arledge (right), had the best percentage overall on vault and floor exercise for Miami Trace during the 2017-18 season. 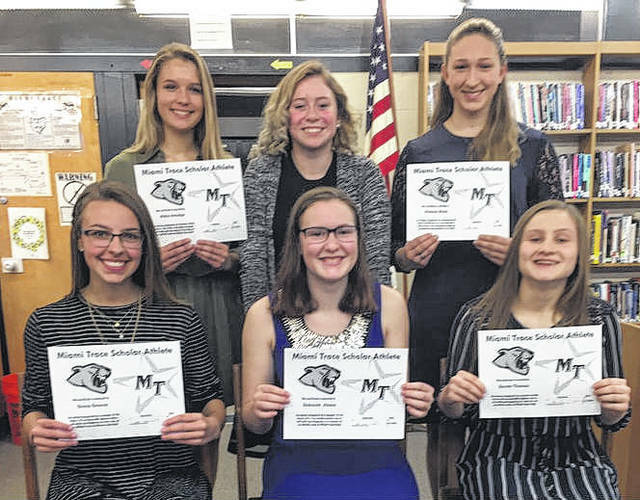 SCHOLAR ATHLETES — (front, l-r); Gracie Green, Debbie Abare, Devan Thomas; (back, l-r); Abby Arledge, Lizzy Valentine, (Greeneview) and Tori Waits. The Miami Trace High School varsity gymnastics team recently held their end of the season banquet at the school. Special sport awards, including scholar athlete and varsity letters, were awarded to the members of the team. Freshman Debbie Abare and sophomore Maddie Southward received their first year varsity awards. Devan Thomas, Tori Waits, Grace Rolfe and Abby Arledge received their second year varsity awards. https://www.recordherald.com/wp-content/uploads/sites/27/2018/04/web1_MT-gymnastics-team-picture-at-banquet.jpgThe 2017-18 Miami Trace gymnastics team recently held an end-of-season awards banquet and presentation at the high school. 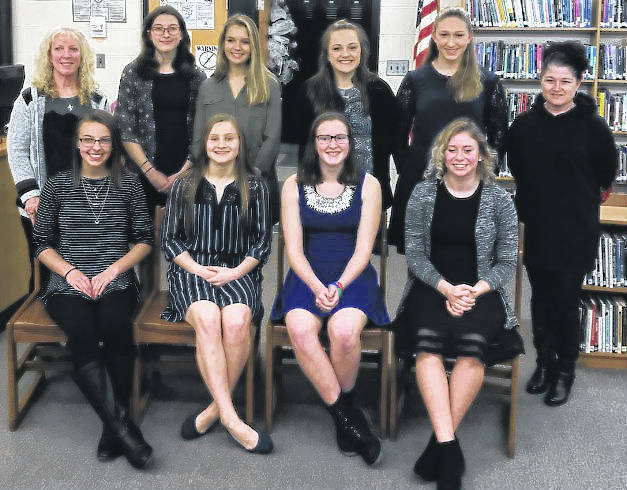 (front, l-r); Gracie Greene, Devan Thomas, Debbie Abare, Lizzy Valentine, (Greeneview); (back, l-r); head coach Susan Holloway, Grace Rolfe, Abby Arledge, Maddie Southward, Tori Waits and assistant coach Chasity Thomas.